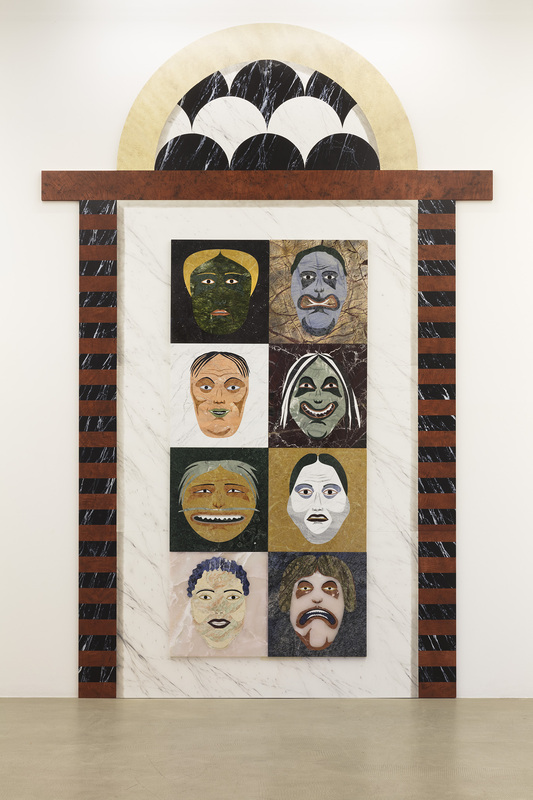 kaufmann repetto is pleased to announce Pietra Dura, Nicolas Party’s second solo exhibition with the gallery. 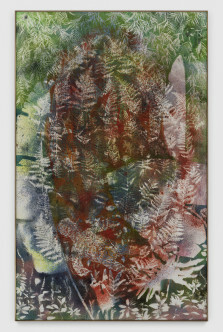 The series of works realized on the occasion of this show, sees Party working through new materials and techniques. 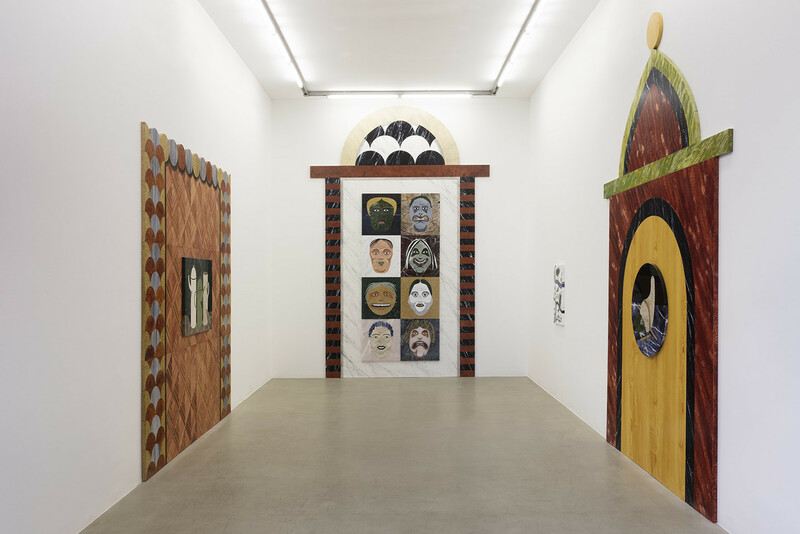 Pietra Dura includes wall paintings, inlaid marble works, and tromp l’oeil wooden panels are in dialogue, transforming the spaces of the gallery. 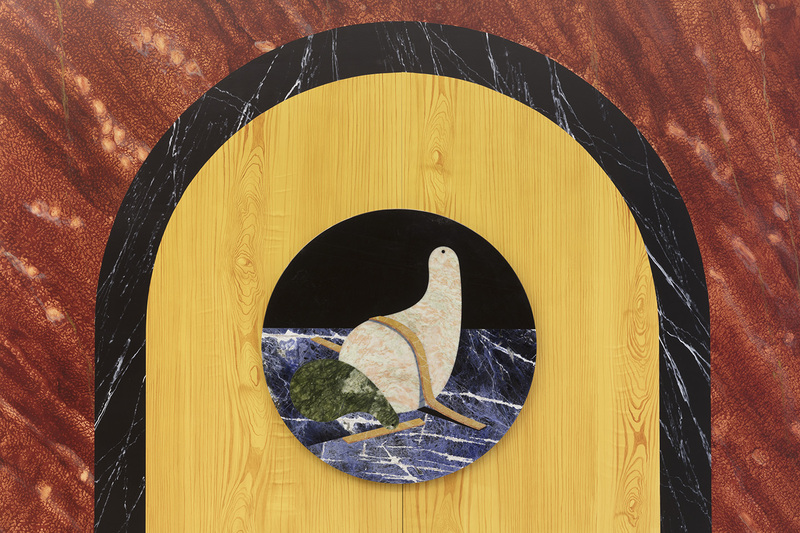 Within Pietra Dura, still lifes, landscapes and portraiture, recurring themes in Nicolas Party’s practice, are recontexualized via the influence of diverse cultural connotations. Eight stacked masks create a totem-like structure, while also alluding to eastern forms and subject matter, such as Japanese noh theater. A cylindrical mustard vase, cought between a domestic and a sacred dimension, is in dialogue with traditional European iconography, like that of Saint Sebastian. 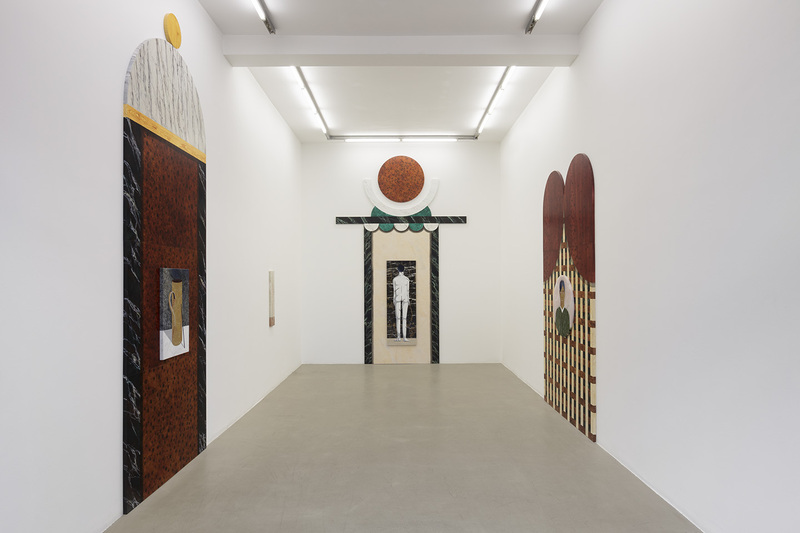 The monumental doorways made of wood panels, painted to emulate marble, wood and precious stones, refer to various cultures, distant both in space and in time. Milanese doors are accompanied by others of middle-eastern tradition, drawing simultaneously from the architecture of ancient civilizations but also of modernized appropriations. 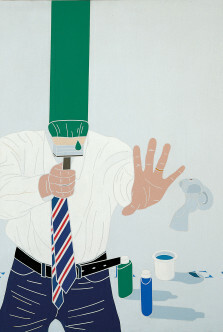 Time itself is at the basis of Nicolas Party’s works. 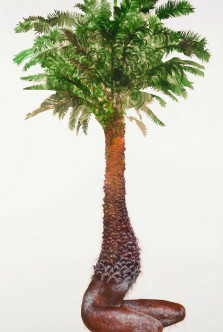 The desire to connect different cultures within a cohesive yet diversified environment is suggestive of an advocacy for a universal art. 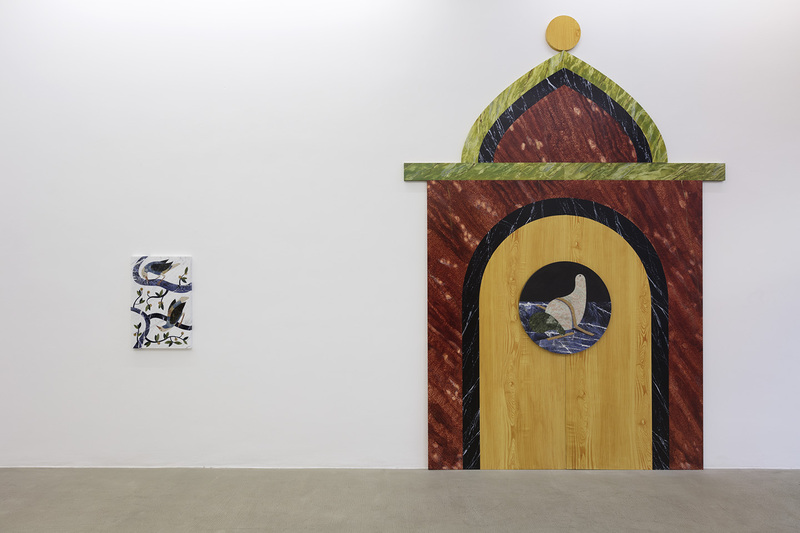 By choosing wood and marble, materials that have been used decoratively and functionally for millennia, as the subject matter of numerous works and wallpaintings themselves, Party redistributes discourses of temporality, the ephemeral versus the permanent. 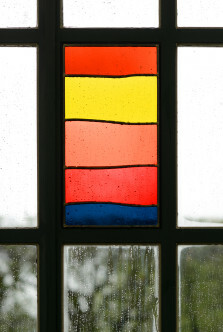 These wallpaintings, which are inherently transient in nature become as enduring as the stones that they represent; their presence within the space is sequentially concealed yet integrated with each new layer of paint applied thereafter. 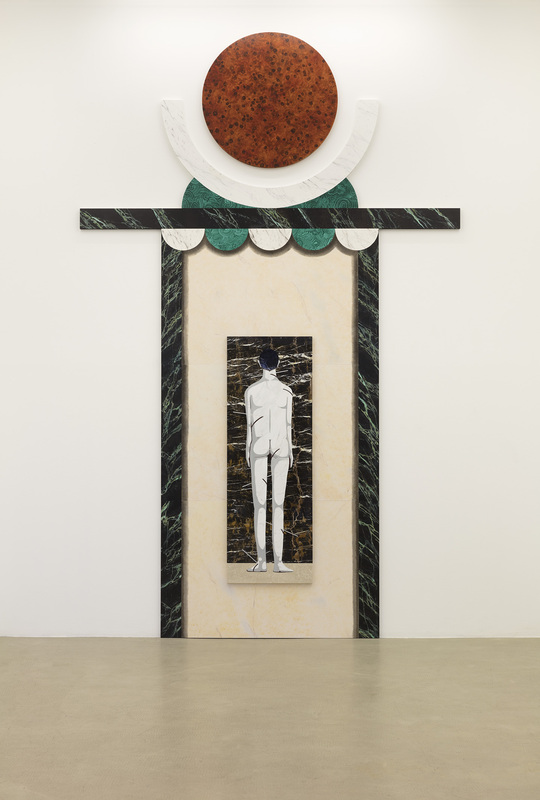 Such paradoxes remain recurring motifs within Nicolas Party’s work: marble, most traditionally bound to the history of sculpture, is translated through painting, simultaneously straddling pure décor and supportive elements. 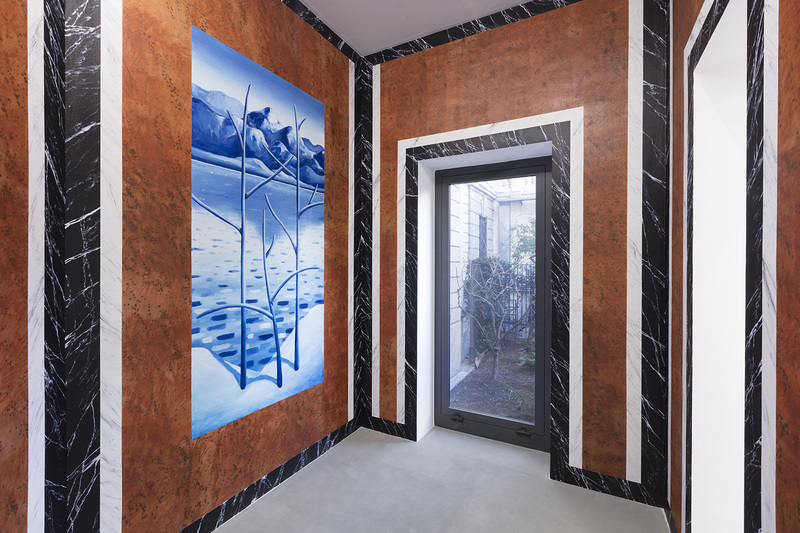 Wallpaintings, framed by faux marble archways, concurrently allude to elevated interiors, like those of Roman descent as discovered in Pompeii and Herculaneum and which still exist today, but also to everyday examples exposed throughout the streets of present-day cities. 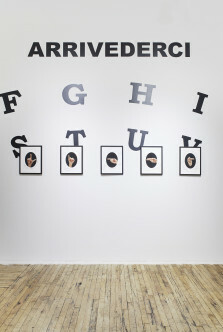 The artist creates a visual oxymoron where the poeticity of the content opposes the solemnity of its medium. 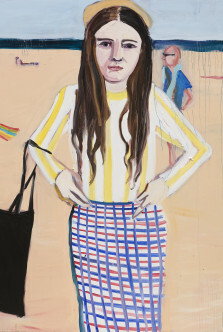 Party’s works conflate traditional categorization of art making practices and deny its hierarchies. 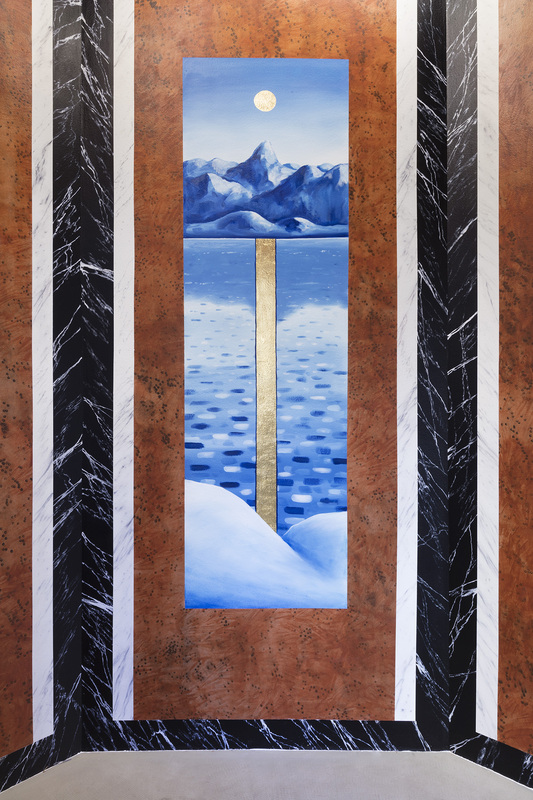 Pietra Dura mediates the symbolic codes of visual language, be it via geometrical forms or cultural motifs, as we consider these gateways as portals linking the inheritance of the past and the prospects of the future.